- with the organ pipe! 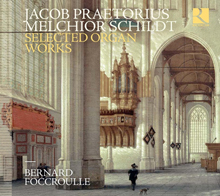 Welcome to Germany`s biggest specializing shop for organ CDs, DVDs, SACDs in the Internet. The label "FAGOTT", which was founded in 1997, has conquered its solid place in the CD collection of many lovers of classical music. The main field of our work is the recording, production and manufacturing as well as the sale of organ recordings. The superior quality of our productions has more than once been pointed out in the trade press such as "Ars organi", "Orgel international", "Forum Kirchenmusik", "Magazine Orgue" (Belgium) etc. Our circle of customers extends from Japan to overseas a from South Africa to Scandinavia. Klick here to get more information about our label or to have a look at our inquiry form for a CD production. For further information and aid concerning navigation, orders, payment and security in our web shop see register "help".